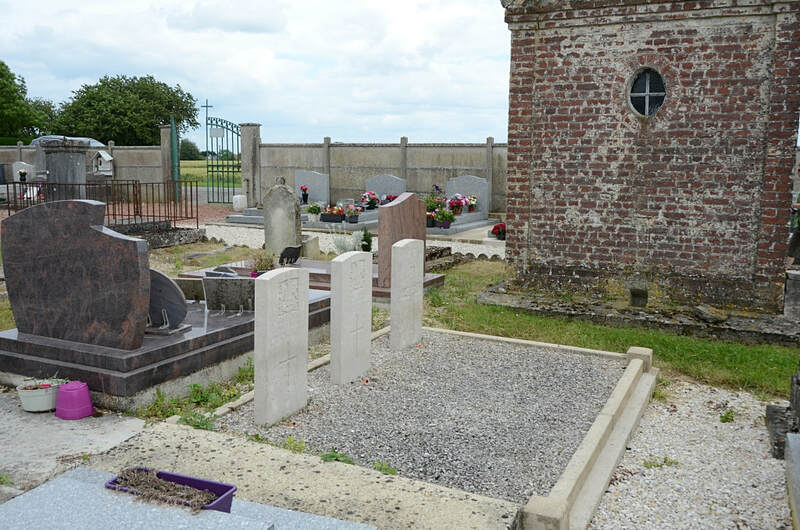 Fluquières is a village and commune in the Department of the Aisne, on the road from Ham to St. Quentin. 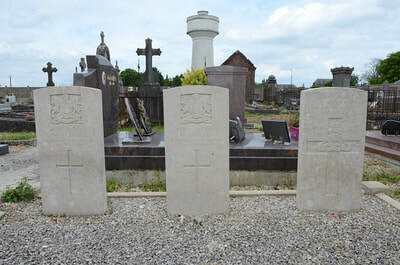 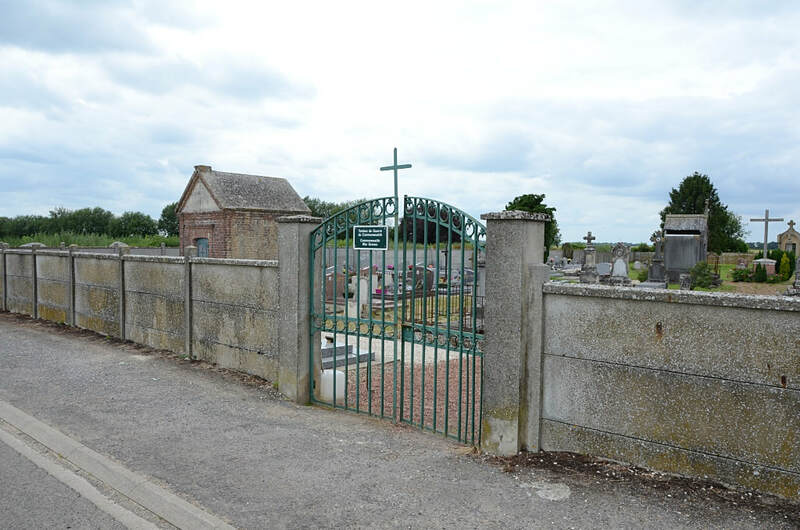 The burials are in the South-West corner of the Communal Cemetery (to the left of the entrance). 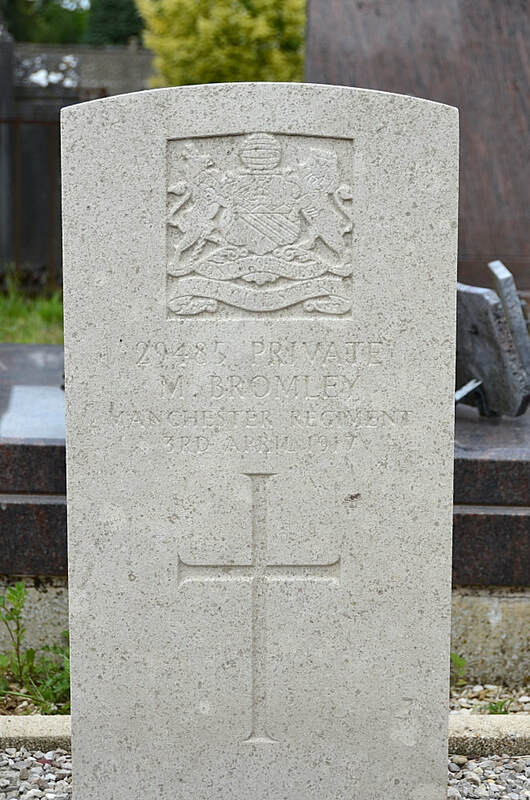 29485 Private M. Bromley, 2nd Bn. 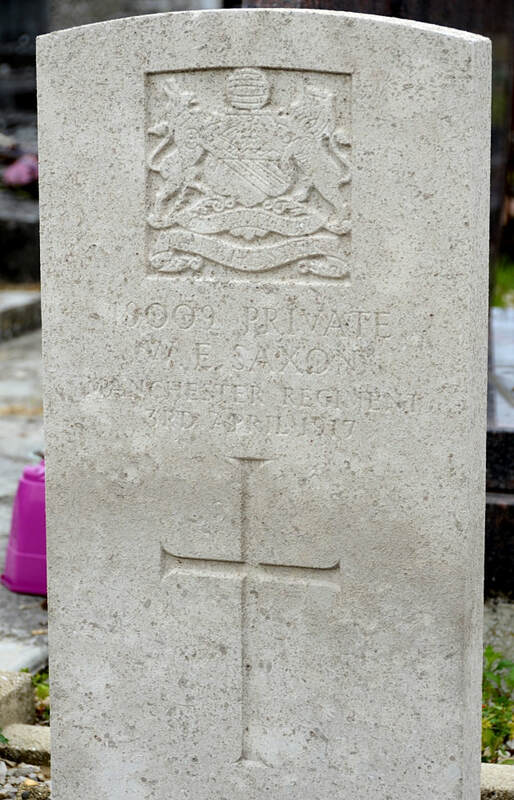 Manchester Regiment, died 3rd April 1917. 19009 Private W. Saxon, 2nd Bn. Manchester Regiment, died 3rd April 1917. 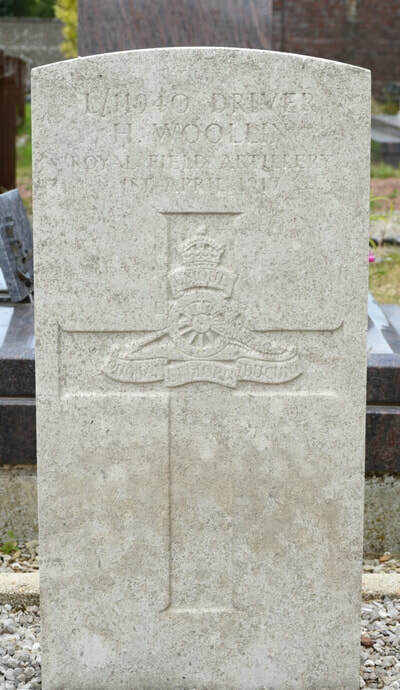 L/11940 Driver H. Woollin, "C" Battery, 168th Brigade, Royal Field Artillery, died 1st April 1917.